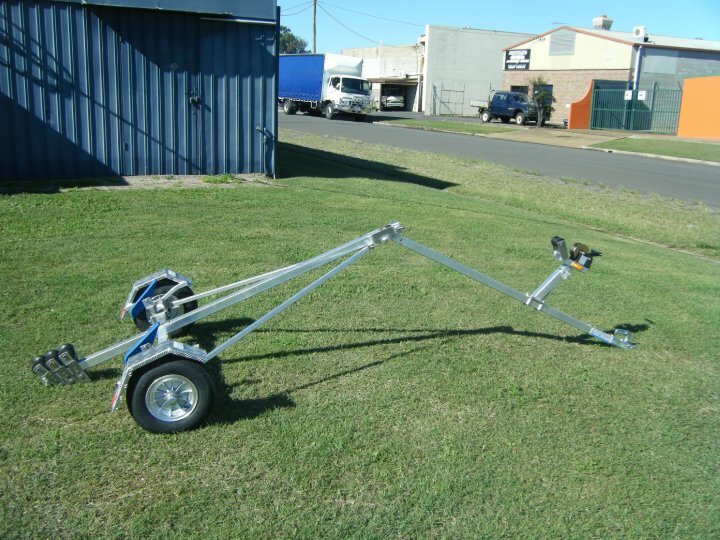 Are you keen to find out how to replace the bearings on your boat trailer yourself? It’s not as complicated as you might imagine, as long as you keep safety in mind. The experts at Almac Trailers are here to tell you how! There are two ways to successfully replace the bearings on your boat trailer. The first is to use a standard wheel hub metal cover, which is cheap but can also be nasty! The second, and by far superior, is the Bearing Buddy system. Before you get started, it’d be a great idea to know what a Bearing Buddy is, right? Basically, it’s a cylindrical housing with an internal spring-loaded washer that is less likely to enter the bearing area. It’s the best method if you want your bearings to last, which is clearly what you want in a bearing. The very first step you want to take is to safely jack up your trailer so that the wheel sits just above the ground. Straighten the split-pin on the tyre. Remove both the pin and the nut to remove the tyre and the hub – this makes your job both easier and quicker. If the grease is a light grey colour, that’s a good indication that water is getting in and the bearings aren’t as bad as you might have first expected. It’ll probably set you back about $30 to $40 a wheel to replace. The next step is to remove the old bearings, which you need to do carefully. If they’re not too bad, you could keep them as spares because when saltwater and metal mixes, anything can happen. If you ease them out with a long screwdriver, they should come out fairly easily. Next, remove the old collars on the wheel. You can use a screwdriver if it’s a roadside emergency, but a copper-ended chisel is your best bet. If you think you can replace the old bearings, you should get rid of the old grease with a cheap plastic glove, and check for wear and tear and heat damage. The axle should also be cleaned of grease and checked for heat damage. On the wheel hub, use newspaper to scrape out all the old grease and finish by pulling an old towel through the assembly. Once clean, you should check for heat damage here as well. This step involves pre-greasing the hubs and new collars so that they’re ready to be hammered on. Make sure you have the bearings sitting inside the collar after the collar is in the correct position. Using the copper chisel, hammer it into place and check it’s in all the way by running your finger along the inside ridge of the hub. This next part is pretty important and involves packing your bearings with grease. You need to get a good size amount in your hand and force it in the gap between the inside and outside of the bearing. If it oozes out the top and into the bearing, you’ve done it right. Finally, place the new metal ring and rubber seal on the inside, then put the wheel back on the trailer. Make sure you tighten the nut back up so that everything is nice and snug, then back the nut off just a smidge. You want the wheel to be able to spin, but you don’t want it to wobble. If you’ve got everything back on in place and the wheel is spinning nicely, your job is complete! It might take a bit of effort, but if you follow these simple steps, you’ll be back on the road and into the water before you know it. Sounds confusing? If you are not sure about any of the steps required to change boat trailer bearings or have questions about the process, contact the team at Almac Trailers. They’ll be happy to help! If you have any issues with your boat trailer, contact Almac Trailers today and speak with our friendly, knowledgeable staff!